Unlike mass-production print shops, we customize each label design for you. Once you place your order it will go into our proof queue, and you will receive a proof within 1-2 business days. You are welcome to request changes to your proof before your labels are printed. 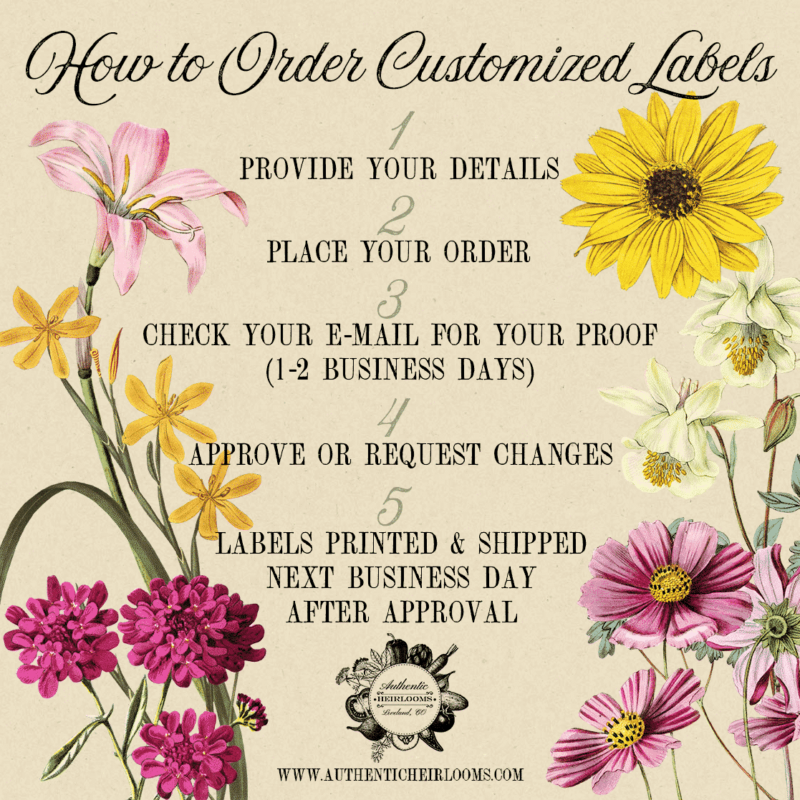 Once you approve your proof we print and ship your labels within 1 business day, unless they will be shipping with another item still in production. For customized labels we will send you a proof within 1-2 business days. (Please note that the timeframe is longer for custom requests and custom designs.) You are welcome to request changes to the proof, and we will send a revision within 1-2 business days as with the original proof. Your order will typically ship the same or next day after you approve the proof. How long does it take to get my customized labels? The time it takes to get your labels depends on several factors. We ship many orders within 1-2 business days, depending on the speed of proof approval. You can select different shipping speeds at checkout. For US mainland orders, if free shipping is an option, that will typically be 3-4 days in transit. You can also select next-day service as a checkout option. For international, Alaska and Hawaii orders shipping times will take longer. Can you make a design that is just for my business? Yes, we can! We offer a variety of options for custom design. Get in touch to let us know what you have in mind! Can I see what the labels will look like before I order? We provide sample images so you can see the design, but we don’t offer proofs before purchase. We do send a proof for all customizable orders (once your order is placed) and you have the opportunity to request changes to the proof you receive at no additional charge.